CHRISTMAS 1916 FELT radically different. The exhaustion was so much greater. 1916 had been the year of the Somme and of Verdun. In sheer quantitative terms, there were no precedents for either. The fact that Germany had now thrown out feelers for peace might be read as evidence that she had had enough. Neutral countries – notably Switzerland and Holland – were keen that the peace proposals should be seriously considered. Many wondered if Germany were not on the verge of collapse. Even The Times – that bastion of sober inner-circle thinking – considered its peace proposals were “an official admission that the German masses are tired of the war”. She was tired, yes. Inclined to give up? Not a chance. The peace proposals were so much kite-flying. While the wisest heads within the Central Powers were deeply worried about the depletion of men and materiel, they were way too committed to disengage unless offered a superbly generous deal. The German people, just like those of France and Britain, shared fully in the conviction that the war must be fought out to an obvious conclusion. The British authorities were equally determined. Lloyd George took the opportunity of his first speech to the Commons as Prime Minister on 19th December, to head off any nascent interest in peace. The Allies were not going to stop at anything far short of unconditional surrender. This was an idea far beyond the understanding of the newly re-elected American President, whose recent election slogan (“He kept us out of the war”) was widely considered to have been a vote-winner. In a note for peace he despatched on 18th December, Woodrow Wilson had invited the belligerent Powers to state their peace terms and suggested an “interchange of views”. That was pushing it. By claiming that “the objects which the belligerents on both sides have in mind are virtually the same”, he blew it. King George V, on hearing this, was reportedly moved to tears of indignation. By contrast, Haig’s Second Despatch, covering the battle of the Somme from July to November 1916, which was published on 23rd December, embraced a version of the future in which there was merely more of the same. the happy relations which continue to exist between the allied Armies and between our troops and the civil population in France and Belgium. The unfailing co-operation of our Allies, their splendid fighting qualities and the kindness and goodwill universally displayed towards us have won the gratitude, as well as the respect and admiration, of all ranks of the British Armies. The enemy’s power has not yet been broken, nor is it yet possible to form an estimate of the time the war may last before the objects for which the Allies are fighting have been attained. But the Somme battle has placed beyond doubt the ability of the Allies to gain those objects. We were compelled either to use hastily trained and inexperienced officers and men, or else to defer the offensive until we had trained them. In the latter case we should have failed our Allies. That these troops should have accomplished so much under such conditions, and against an Army and a nation whose chief concern for so many years has been preparation for war, constitutes a feat of which the history of our nation records no equal. The praise was heartfelt, but this was no order to stand down. Rather, the new Armies… “have learned many valuable lessons which will help them in the future”. The future! A terrifying prospect, one might think. In the east, there had been fierce fighting all week as Mackensen’s Danube Army made great progress near Braila. Russian forces continued to retreat from Dobruja and, on 23rd December, they retired to Bessarabia. The full extent of the implosion taking place was not yet apparent to commanders, let alone the Tsar, but it soon would be. On the other hand, events unfolding in northern Sinai offered a real window of hope for the otherwise beleaguered Allies. After advancing towards, and then occupying, El Arish on 21st December, they took Magdhaba after a fierce battle on 23rd December, destroying the opposing Turkish force, and capturing over 1,000 prisoners as well as guns and stores. The Allied force consisted of the Imperial Camel Corps, the Anzac Mounted Division and the New Zealand Mounted Rifles Brigade – some 6,000 men in all – under the command of Sir Henry Chauvel. It sustained 146 casualties, with 22 fatalities, an eye-poppingly modest total. The opposing 2,000 Ottomans lost 400 casualties with over 100 dead. This victory would significantly and positively influence the future Allied campaign in Palestine. One can make a strong case for discerning within the new premiership of Lloyd George a desire to professionalise the execution of war. A spirit of empiricism seemed to be sweeping through Whitehall: the old pre-war ministries were deemed insufficient for purpose, and in addition to the creation of the Ministry of Food, the Ministry of Shipping was founded. So too was the Ministry of Pensions. Newspapers had been happier to trumpet headlines about fallen heroes than Whitehall had been to stump up the necessary cash for their hard-pressed wives (or widows) and families. The new government recognised that a state system of administration was required to meet with speed the needs of dependants. As matters stood, too many were forced to go, cap in hand, to private charities in order to put food in their mouths. Nothing could have been more humiliating and alienating. The new ministry ensured that disbursements such as separation allowance, disability pensions and widows’ pensions at once came under government control. The new Prime Minister’s despatch in this matter reflected a fundamentally greater empathy with and awareness of the lives of ordinary citizens than that of his predecessor. For the same reason, he was disposed to moot more nationalisation of shipping and a greater control of food supplies. There had been a very poor harvest in 1916, and Lloyd George told MPs he was determined that “over-consumption by the affluent must not be allowed to create a shortage for the less well-to-do”. In his speech to the Commons on 19th December, he suggested that in wartime there must be “an equal readiness to sacrifice from all” – not exactly an Asquithian sentiment. But, believing the war still had a long way to run, he was also anxious to identify initiatives which would reconcile the mass of people to the hardships which lay ahead. It was with this in mind that he now discussed plans to further tackle private profiteering and claimed that, since the Munitions Act, 80 per cent of the profits of controlled firms had been annexed and prices considerably lowered. That alone would hardly kill off profiteering. But, by building the idea of a national struggle, he was moving crabwise to achieving a consensus whereby individualism of all kinds would become more difficult. He asked for powers to transfer able-bodied men from one labour activity to another where their skills would be more useful to the country, arguing that “the nation is fighting for its life, and it is entitled to the best services of all its sons”. for centuries… such a source of misery for the one and of embarrassment and weakness to the other… It was a quagmire of distrust which clogged the footsteps and made progress impossible. For anyone who followed the summary “justice” carried out with apparent relish in the wake of the Easter Rising just eight months earlier, Lloyd George’s Olympian sentiments might stick slightly in the throat. On the other hand, his analysis was fair enough. And, just as Haig had heaped praise upon the French, so Lloyd George now showered compliments upon the Dominions for their unfailing support. Well he might, given the scale of the sacrifice of their sons. He even proposed an Imperial Conference at an early date. There were a range of motives behind this, for sure, but the synchronisation of strategy, provision and planning was now understood to be the sine qua non for eventual Allied victory. 23 December: The third war-time Christmas. German Admiralty wants to promote the so-called ‘Total U-Boat War’ round the whole world as a giant protective fence against Allied attacks. No one talks about peace anymore. On Christmas Eve we shall have turnip and potato puree with horsemeat balls and mustard sauce. Willi [her brother] and I fetch our mother from the station today. We’ve heated our place as much as we could so that Mummy [who worked in Berlin] doesn’t freeze. We’ve been warming up her bed with hot-water bottles since this morning. Here was first-hand evidence of pink-faced men doing well out of the war. Lloyd George was right to be worried. 24/12/16 Bright sunny day, the sort of weather which forces one to hope in spite of oneself. Bully-beef and cheese for breakfast, in consequence of the bacon being reserved for cooking with the turkeys tomorrow. Attended divine service with our relief which was held in the canteen and commenced at 9.30 a.m. General Rawlinson commanding the 4th army also attended and sat in front close to where I was sitting. He is a soldierly looking man and carries three rows of colours on his tunic… On duty at 1 p.m. until 5 p.m… Spent the evening at a little farm down the road. The French people do not keep up Xmas as we do. They have no knowledge of plum pudding and all the other Xmas luxuries so dear to the heart of the English. There are no decorations or preparations of any sort. In the evening I went round and wished the men – scarcely a Merry Christmas, but good luck in the New Year, and may they never have to spend another Christmas in the front line! This meant much repetition on my part, passing from one fire-bay to another, but I was amply rewarded. It is a treat to hear these men open out, and their manners are always perfect. I have a good many recruits just now. Some of them went into the line for the first time last night. I visited them at their posts soon after they had reached the fire-trench, and asked them how they liked it. They are just boys feeling their way. They wore a rather bewildered look. This evening I asked them again. They were already becoming veterans. They are all going to have their Christmas dinner on the 30th, after we get out. Christmas Eve! It is ten o’clock in the evening. I write you these lines with thoughts of longing for home and days gone by. So much has changed in the past year. The war goes on with no hope for a soon-to-come peace. How ironic that man calls this holiday a time for peace. I can only wish it will happen during the coming year. Nothing would make me happier than to be together with all of you under the Christmas tree. For the first time in my life there is no tree, no singing, nothing. 25 December: It seems that Mummy doesn’t love me as much as she used to. She asked me if I still kept up my war diary. I was afraid she wanted to read it; then she would read all the nonsense about Werner Waldecker [a Fokker pilot for whom, earlier in the year, she had nurtured a brief sentimental attachment]. Luckily, she only said ‘Hm!’ I know my mother has always loved Willi better than me, but I am Grandma’s favourite. We never talk about our love for each other, but we know it in our hearts. Mummy thinks I have become as thin as a rake, but who has not lost weight in this war? Willi’s legs are like sticks. We queue for one loaf of bread. I send you, my Sailors and Soldiers, hearty good wishes for Christmas and the New Year. My grateful thoughts are ever with you for victories gained, for hardships endured, and your unfailing cheeriness. Another Christmas has come round and we are still at war. But the Empire, confident in you, remains determined to win. 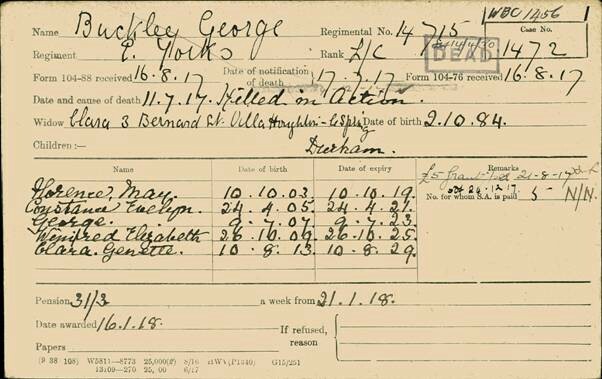 He sent an individual card to all the sick and wounded service personnel in every hospital, casualty clearing station, hospital ship or train, in all theatres of war, at home and abroad. At this Christmas-tide the Queen and I are thinking more than ever of the sick and wounded among my Sailors and Soldiers. From our hearts we wish them strength to bear their sufferings, speedy restoration to health, a peaceful Christmas and many happier years to come. Inscribed in gold letters on a white card embossed with the Windsor insignia, such a trophy would have been undoubtedly an object of immense pride and the source of strong emotion to most recipients. Two and half years into the war, for all its legion horrors, the overwhelming majority of the British people still identified passionately with the Crown.